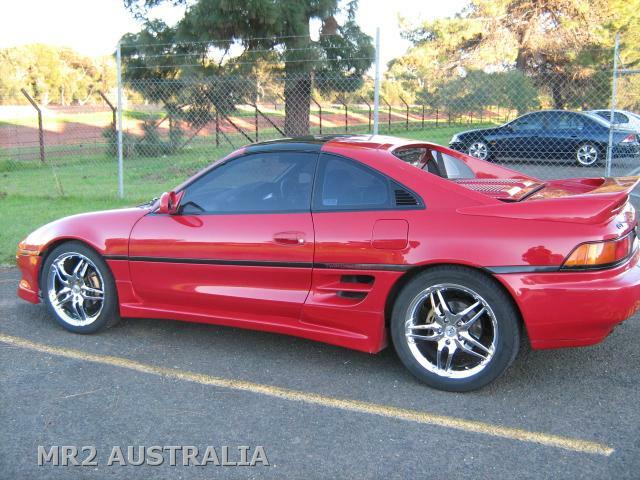 This is a place for people new to the MR2 Australia: South Australia forums to introduce themselves. You may of found a calling card on your car, been handed a card from a member or just stumbled across the website. So if you're new here don't be shy, we really do want to hear from you. So if you'd like you can post as much or as little information about yourself and your car as you feel comfortable with. We'd love to hear about how long you've owned the car, how you feel about owning it, problems you might be having with your car and also any modifications you've done or would like to do. You'll find us all a very approachable and enthusiastic bunch so please make yourself heard. Good idea mate, can't believe we didn't have a thread like this yet. As an example here is how I'd introduce myself. My name's Jeremy and I've got a 1990 SW20 Non Turbo that I've owned for the past three years. Prior to this I've owned an AE86 and and a R32 GTR. For the first two years I kept it pretty much stock and all I changed was the wheels and tyres to do a few hillclimbs. In the last 12 months I've fitted coilovers, a 1MZFE V6 engine, Cusco 1.5 LSD, a bunch of new suspension/geometry items and some new 17" wheels. At the moment I'm about to pull the engine out to rebuild the bottom end because of a noise that just cannot be diagnosed. Fingers crossed it solves the problem. Thanks Jeremy - I look forward to seeing some new faces/MR2s in this section! I'm studying at Flinders Uni at the moment. I have a silver SW20 Turbo (Targa) that I've owned for three and a half years now. When I first bought it, it had a hiflowed turbo, front and rear Cusco strut braces, Tein coilovers, 16" Rays GR-Cs (90's), and a HKS cannon exhaust. ...removed the snorkel, replaced the ECU with a Gen 3 ECU to ditch the AFM (best thing I've ever done!) - that took a bit of rewiring. One of the other little mods was replacing the clutch slave with a single port slave cylinder. This completely removed the clutch hard lines on the front engine mount bracket. I've ditched the HKS cannon exhaust for a MUCH nicer Fujitsubo twin tip exhaust which has a great rumble, and is pretty quiet at idle by comparison. Hi, My name is Mike (carmikey) and currently own a 1996 SW20 GTS 3SGTE, 91 GT Turbo & a 91 G-Limited Turbo. Prior to this I've owned 4 other MR2's & still can not get enough. 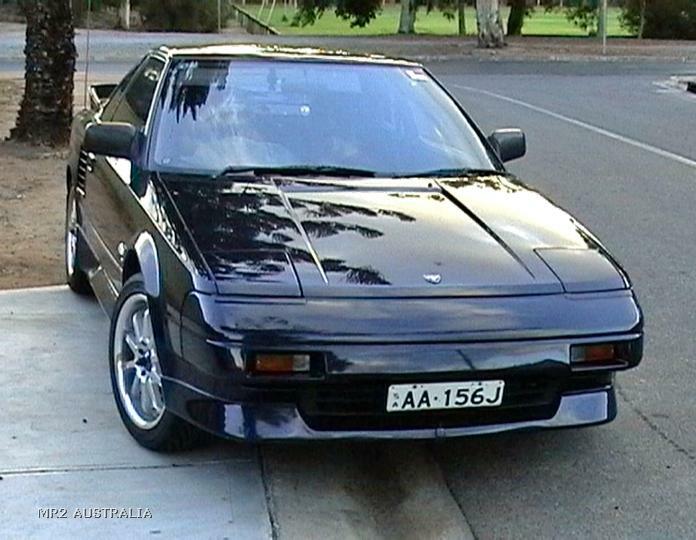 My first introduction to the Midship was some 15yrs ago - my beautiful 1988 AW11 (4age), I think I still have a picture I will attach, owned for approx 3 yrs. Second was my 1992 SW20 GT 3SGTE, this thing was a beast - owned for 2 yrs then replaced with another SW20, this time an immaculate 1991 GT - owned this little gem for approx 3 yrs before again upgrading to my current model with is stated above. 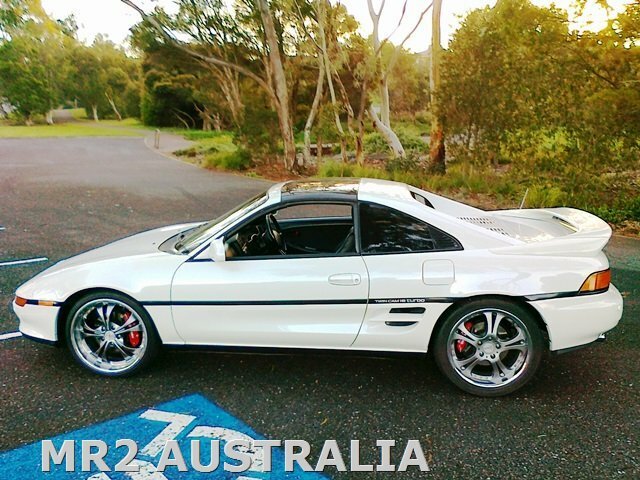 I have done a lot of upgrades to all my MR2's over the yrs and still love to play with my Mr2 when ever I have the chance. 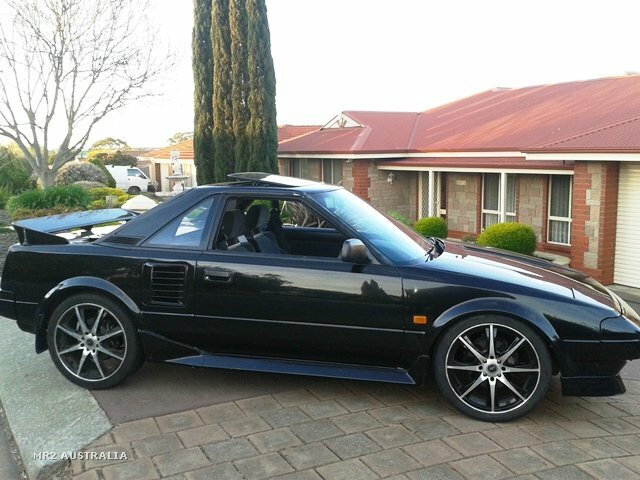 Sold a few, aquired a few more mr2's - recently purchased a 1988 AW11, was in rough condition & also defected. A perfect candidate for a track car...so thats what it is now. A month later I purchased another 1988 AW11, this one was neat & only required an engine rebuild (20v BTW). 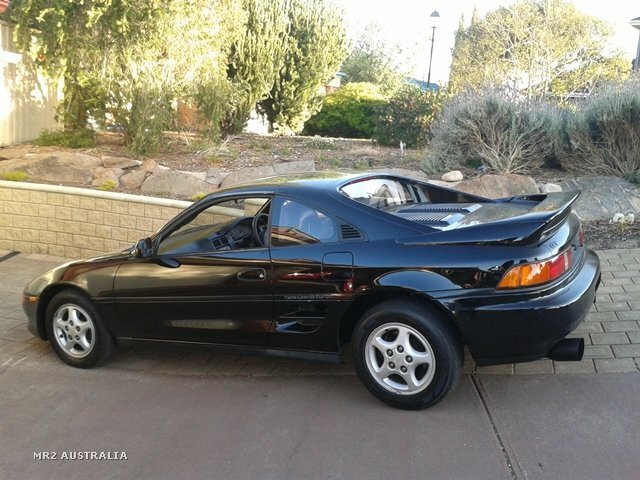 Since fully rebuilding the engine, new clutch etc etc, I have decided to sell it, as I somehow managed to find another SW20 that caught my eye, but dont have the room to store 5 mr2's. Latest addition is my 1991 GT turbo. It my favourite colour (black) & ATM is in near stock condition, with a few tasteful upgrades. Not sure what I will do with this one - taking this Sdub & track Adub to MTC 2015 so should be fun to compare the two hand 'n' hand. 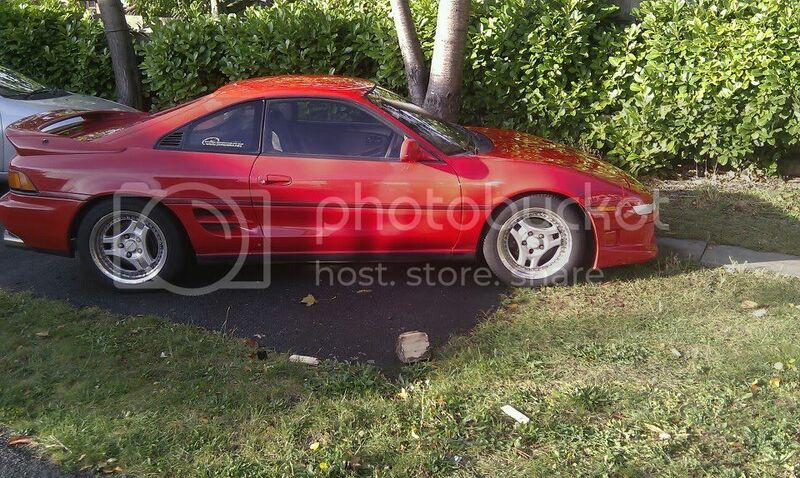 May turn the SW20 into a dedicated track car also...will see. Look forward to seeing you and your 2 on next meet. 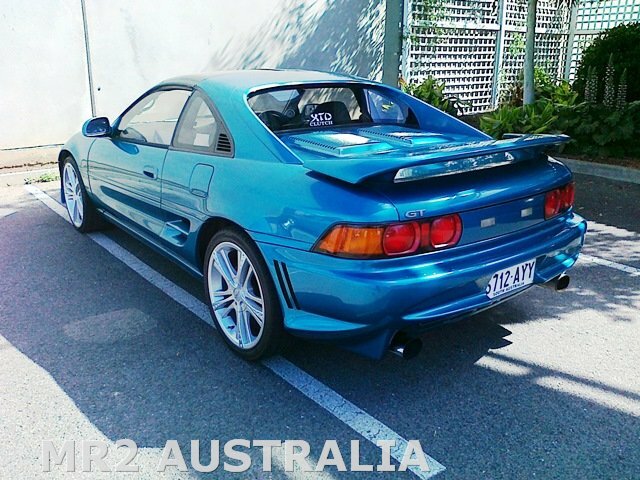 Hi all, my names doug, currently living in the UK but had a call yesterday about a job in Perth, so thought i would check out the mr2 scene to see if its woth keeping my rev2 turbo and exporting it or selling it before coming. still not fully made my mind up i have a few questions still to clear up about the job, but i wont bore anyone with that. Anyway i have a rev2 turbo in red, in need of a paint, advan split rims, decat and japspeed exhaust, greddy filter, cusco brake stopper, blitz turbo timer, nardi steering wheel. maybe sometime soon i will living it up out there. Welcome Doug, hope all goes well with the jobhunting. 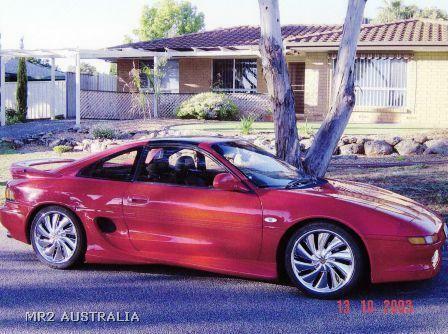 It's a shame we won't be able to welcome you to the South Australian MR2 scene, but I'm sure those in Western Australia will welcome another SW... Particularly a turbo'd one! Just picked up my SW20 last week. Its pretty standard at the moment, but will be looking for ideas on how to improve/change it. Hi Dave and welcome to the group. Look forward to seeing you and your car soon.. I sadly don't think I can post pics yet due to spam filter for the first few days and posts etc.. But anyway, bought my first a-dub ('86, white hard top) last tuesday and I pick it up on thursday, after having new seals and timing belt put into it, After having it de-smoked I hope to head out so some club days and get more involved! Currently in year 12, so not alot of time for anything, but planning on keeping the car stock for a little while maybe changing the rims over, and replace a few cracked parts. 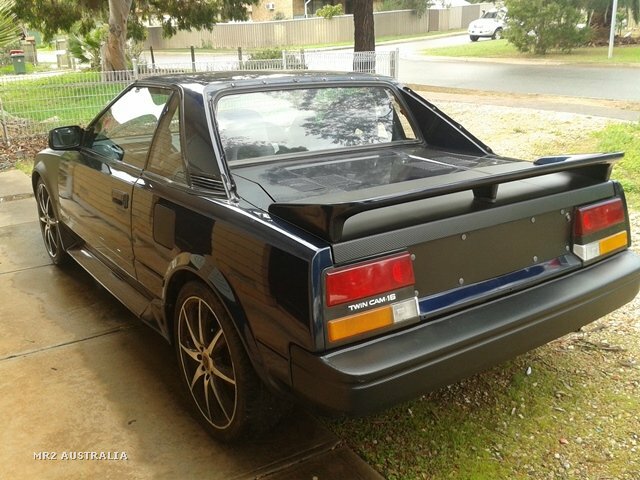 Be a much loved upgrade to my current '89 barina! this was the one 'angus82' had advertised, correct?